When it comes to baby seats and baby buggies, one brand name that has become a staple in the industry is Britax. 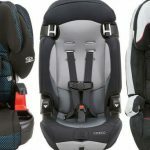 Britax is known for developing high-quality baby seats and in this article, we will be taking a look at two of their top baby car seat products in the market today. I am talking about the Britax Boulevard and Britax Marathon. Both products have extremely high customer ratings and it is easy to see why. Both baby seats are designed with the utmost care and attention to important factors such as safety, comfort, and durability. What we are here to do right now is to figure out which of the two baby seats from Britax deserve the top spot. So, without further ado, Britax Boulevard VS Marathon - let’s get to it! 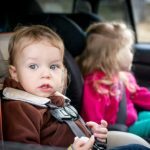 What to Consider When Buying a Baby Car Seat? 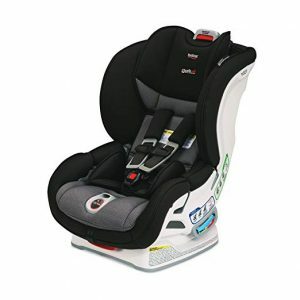 Before we discuss the factors and features of the Britax Boulevard and Marathon, let us first discuss the aspects that make a reliable and quality baby car seat. Height and weight of the baby. This is vital as certain seating positions are recommended depending on the age of the child. For example, newborns up to 2 years of age will require a rear-facing seat. For 2 years to 4 years of age, it is advisable for the child to have a forward-facing car seat. This is why it is wise to get a baby car seat that can switch between the rear-facing and forward-facing positions . A quick way to determine this is to look for the label on the product that shows it has the stamp of approval from the Federal Motor Vehicle Safety Standards 213. Of course, you can also check for specifics as well which we will be listing down below. Look for 5-point harness as it offers better safety than 3-point harness seats. Check its rating on the National Highway Traffic Safety Administration’s ease of use rating system. Always buy new baby car seats as opposed to buying second-hand or used. You don’t know the current quality of used baby car-seats and it might come with hidden damages. Of course, this is the main feature that you should make sure are up to industry standards. First, the harness straps should be located below the baby’s shoulders. 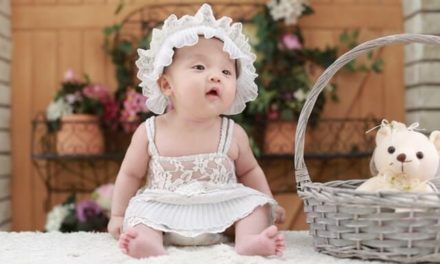 The straps should also be snug and flat against your baby’s body. You can check to see if it’s snug if you can’t pinch the strap over at your baby’s shoulders. Also, the chest clip should be located at armpit level. This offers stability without causing any discomfort for your child. These are the key factors that you should be aware of when picking a baby car seat. 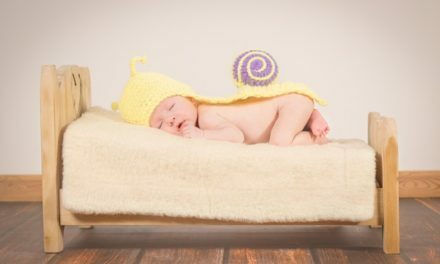 Knowing the importance of these factors will ensure that what you get will not only offer safety but also provide the absolute comfort for your baby. Now then, let us take a look at two of the top products in this category and determine which one is the better option. Britax Boulevard prides itself with the focus on delivering the utmost safety for its tiny passengers. The seat incorporates two layers to protect the baby and the seat from impacts. The base of the Boulevard also utilizes a special shock-absorbing feature that should provide more than adequate suspension when going through a rough patch on the road. 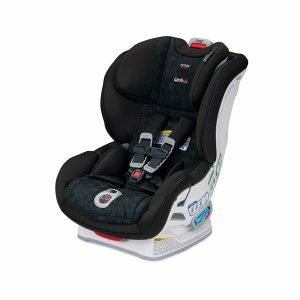 The frame of the Britax Boulevard is reinforced with steel which should significantly improve the seat’s overall durability. As for installing the baby seat into your car, Britax made sure that the Boulevard can be easily attached properly. You can bet that the Boulevard will provide absolute safety for your baby when you are traveling. The harness is easily adjustable and produces a click once it is positioned properly. This click will let you know that the seat belt is fastened, secured, and won’t come undone or loosen. Boulevard does not only offer top-notch security though. The baby seat did not skimp on providing comfort for babies. The seat comes with the ability to readjust the height of the backrest for up to 10 different positions. The recline position comes in three levels and it also utilizes soft and comfortable plush material for its main padding. This means that as your baby grows, the Britax Boulevard can adapt to the growth of your child while still offering safety and comfort of the highest level. As stated earlier, Britax Boulevard truly shines in the safety department. The seat frame is steel-reinforced and the base utilizes shock-absorption technology to mitigate considerable shaking during drives through uneven terrain. The seats also use V-shaped tether that can hold it in place better and prevent it from shaking too much when you are on the move. The seats also use easy to use anchors as its main form of installation system. This makes attaching it your car seat quick and easy without being a detriment to its overall safety and security quality. The Britax Boulevard offers excellent convenience as it is easy to install, place inside, and take out of your car. This is great for those who require a baby seat to be quickly and safely moved inside and outside the vehicle. The instruction booklet is also well-written and easy to understand. You won’t be scratching your head trying to figure out the technicalities of this baby seat. It also utilizes Velcro straps that are located on the sides of the baby car seat which makes it easy to put on or remove the shoulder straps. The extra padding also improves coziness and can support a growing child without causing any discomfort as they get taller. While the Britax Boulevard excels in comfort and security, some factors that elevate these factors does cause some issues in other aspects of the baby car seat. For example, the use of reinforced-steel frames enhances its durability but also increases its overall weight. Simply put, the Britax Boulevard is a baby seat that we do not recommend you carry around for a prolonged period of time. Some features are also missing from Boulevard. While these are not exactly deal breakers, they are features that we miss. One feature it lacks is the cup holder which is present with other baby car seats. Again, not a deal breaker but it could have increased convenience for parents considerably. We would also want to point out that the buckle does a feel shorter. Hopefully, this is a feature that Britax will tweak in future iterations of the Boulevard as larger toddlers might feel uncomfortable with the straps being a tad bit too tight. If the Britax Boulevard focused more on security, the Britax Marathon appears to lean more towards providing comfort. Of course, safety and security are still a major factor with the Marathon’s design so no need to fret. One major feature that Marathon has incorporated into this design is the use of Safe Cell Technology. This feature acts to prevent the child from being jolted forward in the event of an accident or if you hit the breaks suddenly. It accomplished this by compressing and lowering the center of gravity in the seat by adapting to the movement of the vehicle and ensuring the baby stays safely in the middle. Similar to the Boulevard, the Marathon also features a shock-absorbing foam that dampens the amount of shaking during the drive. This keeps the toddler still and comfortable throughout the trip. 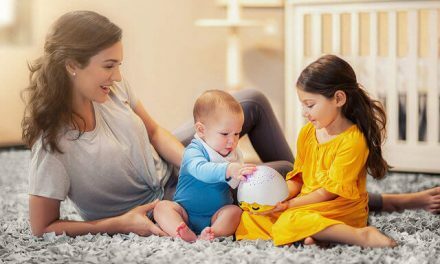 The shock-absorbing foam also helps mitigate forward movement which should prevent your toddler from being propelled forward during sudden stops. It shares other similar designs to the Boulevard such as the adjustable 10 position headrest. This is an essential feature for the longevity of both baby car seats as it can adapt to your growing child’s height. It also comes with a removable body pillow for younger toddlers who require that extra space to be filled with some extra padding. As for installation, the Marathon offers a quick and easy way to remove and attach the seat into your car. It features three different recline position which can also add to how easy it is to install. It also adds lock-offs that are built into the back of the car seat. This help provides added security and helps give you peace of mind that your toddler is perfectly safe during your travels. As pointed out earlier, the Britax Marathon uses Safe Cell Technology that significantly improves its level of comfort as well as safety. The use of the latch installation also provides the baby car seat with improved security. You can determine whether the seat is properly in place once you hear the clicking sound. That click signals that the seat is properly attached. The Marathon can support the weight of around 40 lbs. when in the rear-facing position and up to 65 lbs. when in the forward-facing position. The inclusion of an anchor point located on the top part of the seat can considerably improve stability and safety as well. 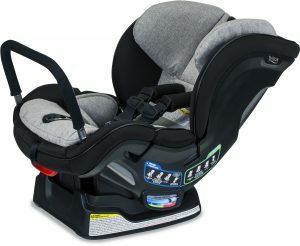 The Britax Marathon is a well-made baby car seat that deserves its spot amongst the top, alongside the Britax Boulevard. The Marathon is also more affordable than the Boulevard which might sway the decision for parents who are looking for something a little more budget-friendly. The padding and foam of the Marathon are considerably more comfortable thanks to its use of breathable fabric. This is an excellent choice if you want to avoid your child from getting too hot during travels. You can also remove the cover relatively easy. This makes cleaning far less troublesome when compared to on-the-spot cleaning wherein you need to wash the entire baby car seat. Safety and security offered by the Marathon are also spot on. This is one of the best-designed baby car seats available in the market today and it shows at first glance. Installation of the car seat is also quite simple no matter your vehicle. You won’t be fumbling around straps and locks too much to secure this seat properly. While the removable cover makes cleaning easier, we have to admit that the quality of the fabric itself is a little underwhelming. We won’t be surprised if wear and tear become visible in a year’s time. It is also quite bulky so expect it to take up a decent amount of space in the back seat. This could cause an issue for parents who have a relatively small car. It also has the issue with its strap that we found in the Britax Boulevard. 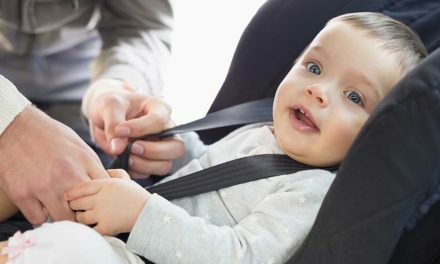 The straps can be a bit short for larger toddlers which might make securing them using the seatbelts uncomfortable or too tight. I highly recommend that you first try it out at the store if possible, to see if your child fits into the seatbelts comfortably. As you can see, the Britax Marathon is virtually similar to what the Britax Boulevard in almost every way. To the layman, these two might even be indistinguishable from each other. 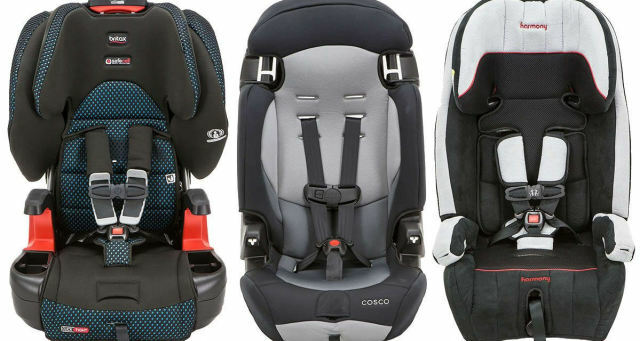 In order to better understand what each baby car seat offers, we need to a side by side comparison of what makes these two great products. First, let us take a look at the special features that Britax incorporated on each baby car seat. Both the Boulevard and Marathon uses the Clicktight feature that makes installation onto a breeze. Operating this feature is simple. You need to simply lift the front of the car seat and put the seat belt through until you hear a click that signals it is locked in place. Just keep in mind that the Clicktight feature makes installation easy but it is still up to you to ensure that the car seat is installed properly. Both Britax baby car seats also utilize the relatively new Anti-Rebound Bar technology. This Anti-Rebound Bar acts as a stabilizer which helps prevent the baby car seat from being suddenly jolted forward. Since this is still a relatively new feature, we can’t fully gauge how effective it is in the overall scheme of things. But having an additional safety feature is always a welcome inclusion. Another feature that is present in both Britax baby seat models is the Safe Cell Impact Protection technology. As the name suggests, it is a material that has impact absorbing capabilities. This helps minimize the energy transfer through the seat which then helps keep your baby steady and secure. This feature increases the overall safety of your child in the event that you get into an accident. When it comes to reclining positions, you can expect both Marathon and Boulevard to offer similar experiences. Britax baby car seats all include an automatic level indicator. What this does is inform you whether the seat is reclined at the correct angle (front-facing or rear-facing) which is determined by your child’s age. Convenience has been a huge selling point when it comes to Britax products and both Boulevard and Marathon embody this quality. When it comes to cleaning the baby seat, both come with a removable seat cover. No need to rethread and unthread any harness here if you wish to remove the cover. Now that we know the similarities between the two, it is time to learn what separates these two top-quality baby car seats from each other. The main difference between the Boulevard and Marathon is the level of side impact protection. Boulevard takes the proverbial cake here as it utilizes an extra layer of protection. The Britax Boulevard incorporates a secondary layer located at the upper part of the seat and acts as head protection of sorts. It also acts as a pillow that will keep your baby’s head comfortable and stable. This additional protection found in the Boulevard significantly improves the overall protection it provides. Another difference between the two comes in the form of the amount of Clicktight options available. The Britax Boulevard offers more choices here as it has a maximum seated height of around 19-inches compared to Marathon’s 17-inches. The reason for this is because Boulevard features two extra harness slots. This, in effect, gives the Boulevard more flexibility when it comes to the height of its seat. Overall, the Boulevard Clicktight feature comes with 14 harness slots, the Marathon comes with 12. What makes the height an important factor when it comes to baby seats is that children grow tall quite fast. They can actually reach the height limit for car seats considerably faster compared to the seat’s weight limit. This, in turn, can shorten the use of baby car seats. Having a baby car seat that offers an extra level of height can actually increase its longevity by a full year, maybe even more. The thing is, if your child is above average height, you might want to check the Boulevard. If your kid isn’t particularly tall for their age then Marathon should do fine and you should be able to maximize its use before switching to an age-appropriate booster seat in the future. Finally, we have different design patterns. This is completely based on your personal preference and there is no wrong answer in this category. Basically, just go for the baby seat that you feel looks better. Both Boulevard and Marathon come in a variety of eye-catching patterns that should satisfy both parent and baby in terms of aesthetics. Again, this is a completely personal choice and both offer some great design patterns so you have a ton of nifty variations to choose from. 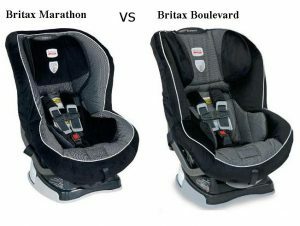 Britax Boulevard VS Marathon – What is the Verdict? Overall, both the Britax Boulevard and Britax Marathon offer more than sufficient levels of safety and comfort for babies. 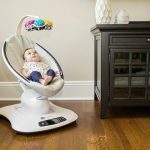 Each is designed to be used by babies and toddlers which should maximize every penny spent. Britax is known for their top-quality products and both Boulevard and Marathon deliver on the expectations of consumers. So, if we need to pick a winner between the two which one should we give the nod to? Well, as both offer pretty similar features, I think it will all come down to practicality. All things considered, the Marathon might just eke out the win as it is a more practical option. This applies especially if your child has an average height. Boulevard offers an extended seat height but this only comes into consideration if your child is growing at an above average rate. Another factor that might sway your decision is the price. Britax Boulevard is more expensive compared to the Marathon which is due to that extra Clicktight option that increases the Boulevard’s height. Again, that factor is not particularly essential unless your child is of above average height. Personally, I would give the nod to Britax Marathon but it is an extremely close fight that can go either way. Both are top-quality baby car seats which will not disappoint. Both are packed with safety features and both offer absolute convenience and comfort. You can’t really go wrong between the two, it would probably just boil down to how much are you willing to spend and if your child appears to be taller than other children of the same age. Baby car seats are essential nowadays with everyone pretty much owning a car of their own. Britax is one of the most trusted brand names when it comes to baby and children products. Choosing between the Britax Boulevard and Marathon is actually quite easy in that you won’t be disappointed no matter which one you choose. It’s a win-win situation here. 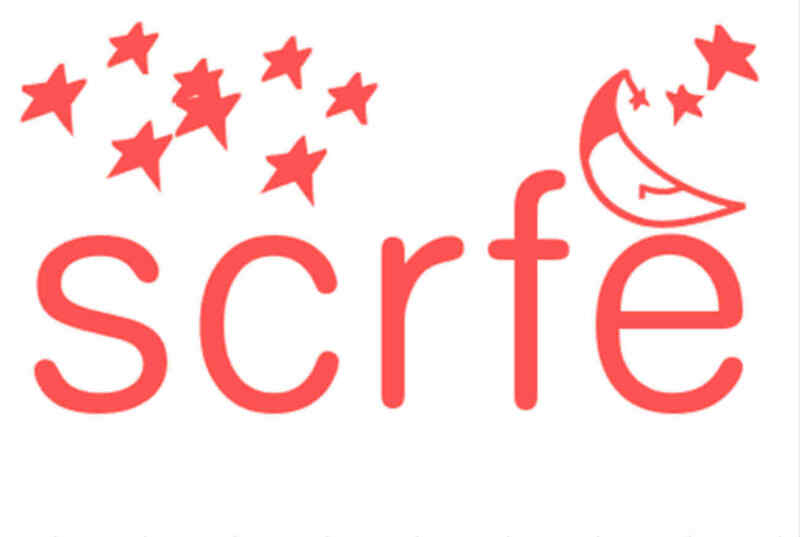 PreviousGraco Affix VS Turbobooster – Which is the Best Booster Seat for Kids?